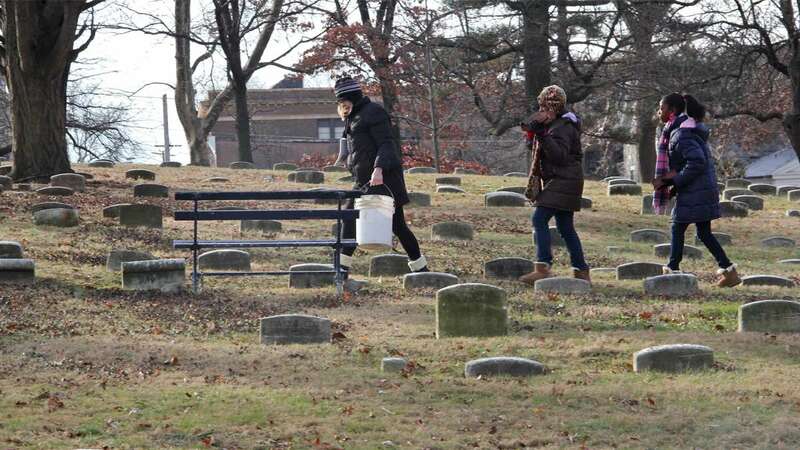 On a brisk Monday morning, volunteers at Fair Hill Burial Ground grabbed gloves, rakes and trash bags and got to work. 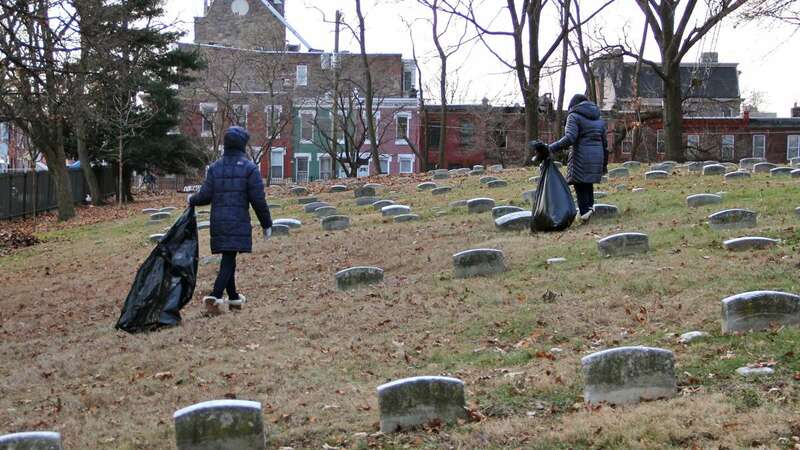 The historic cemetery in North Philadelphia, home to a number of noteworthy abolitionists, serves as a neighborhood park. 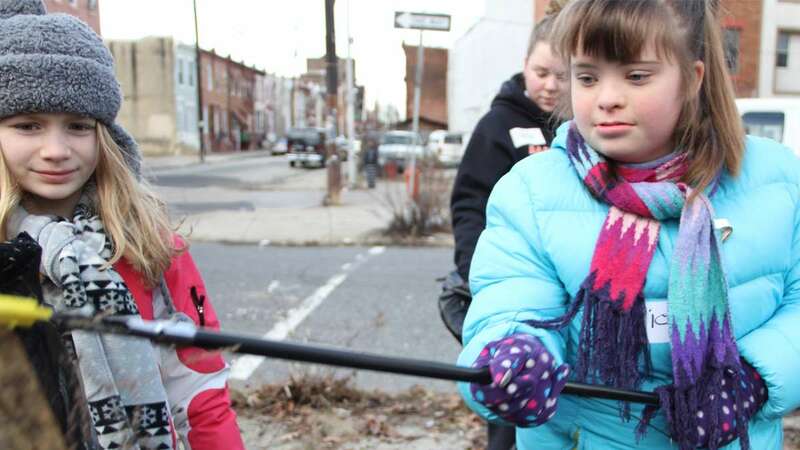 During this year’s Martin Luther King Jr. Day of Service, more than two-dozen residents from across the city took time out to clean the community asset and its surrounding streets. 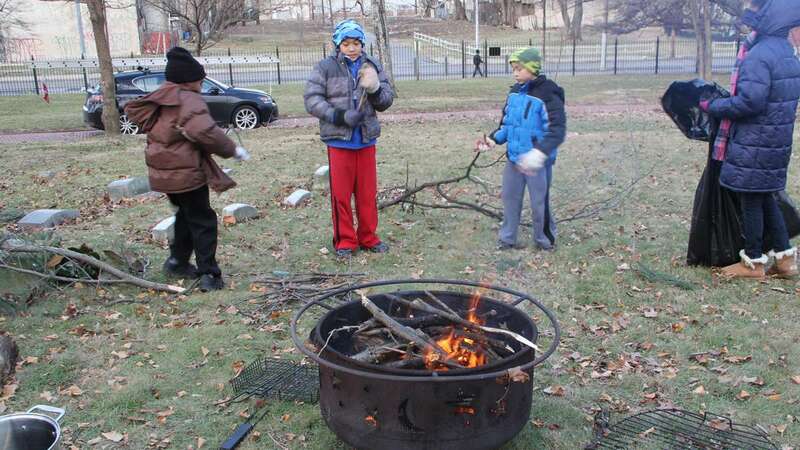 Kayla Portes was among those that pitched in before grabbing a cup of hot cocoa. 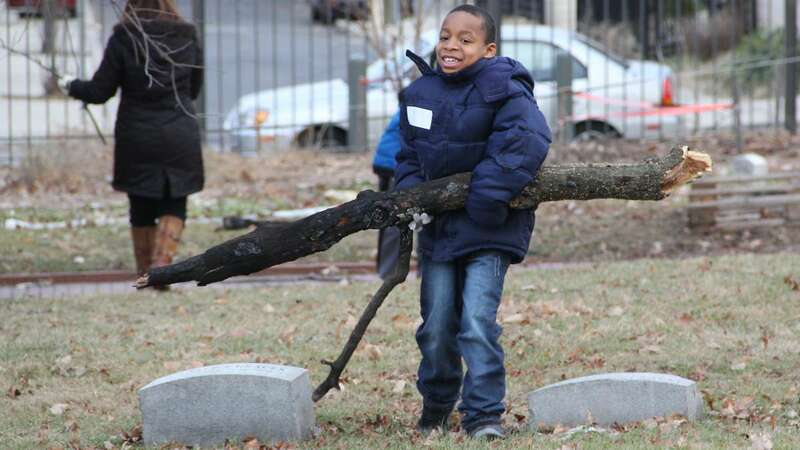 The 9th grader lives in the neighborhood and volunteers regularly at the Quaker graveyard. In the mid-1980s, rampant drug dealing and crime took it over. 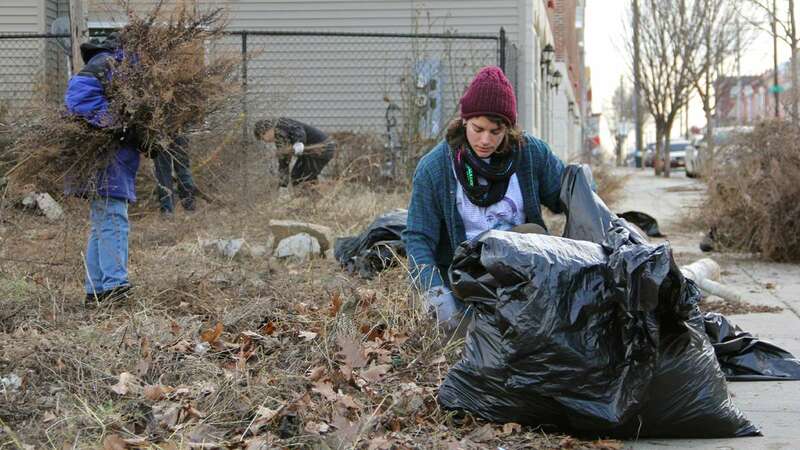 One of the city’s most notorious open-air drug markets sat just a block away from the five-acre plot. 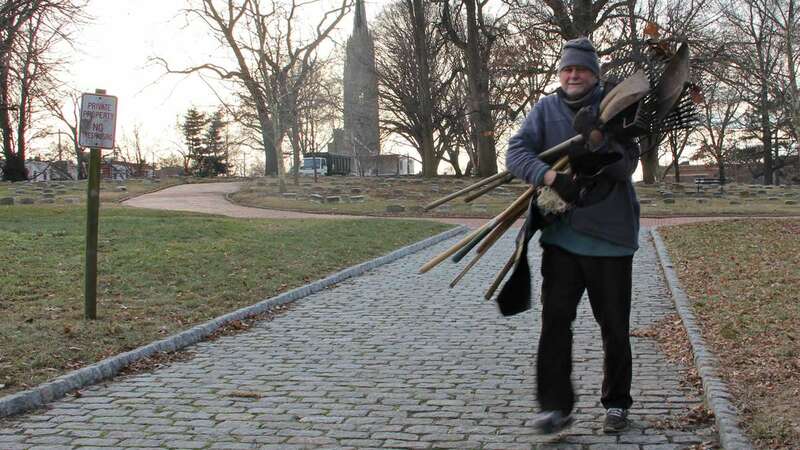 In the early 1990s, a group of volunteers began cleaning up the burial ground and later formed a nonprofit. 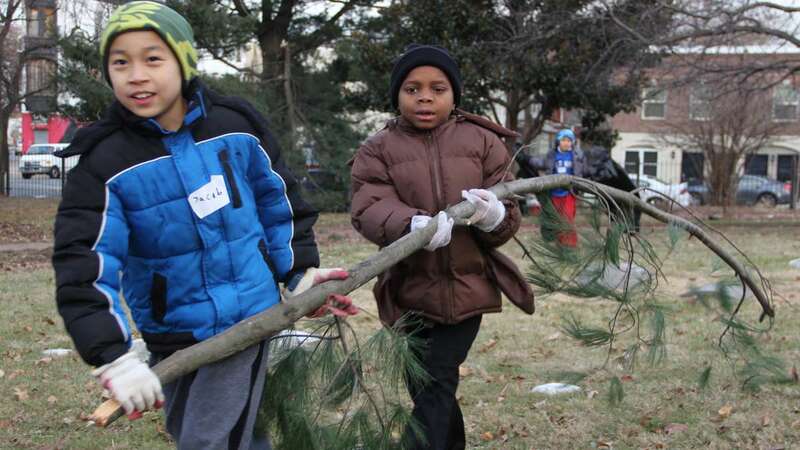 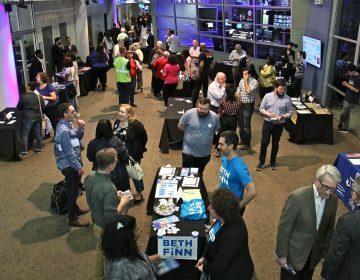 With the help of legislators and police, Fair Hill slowly transitioned back to being a peaceful stop along Germantown Avenue. 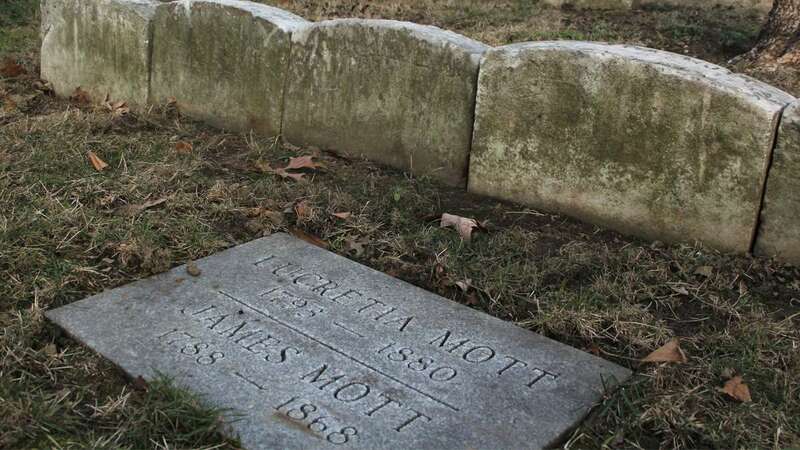 “The neighbors really love the place now that it’s cleaned up again,” said James Glackin, who grew up in nearby Germantown and belonged to the Quaker meeting that once met across the street from the burial ground. 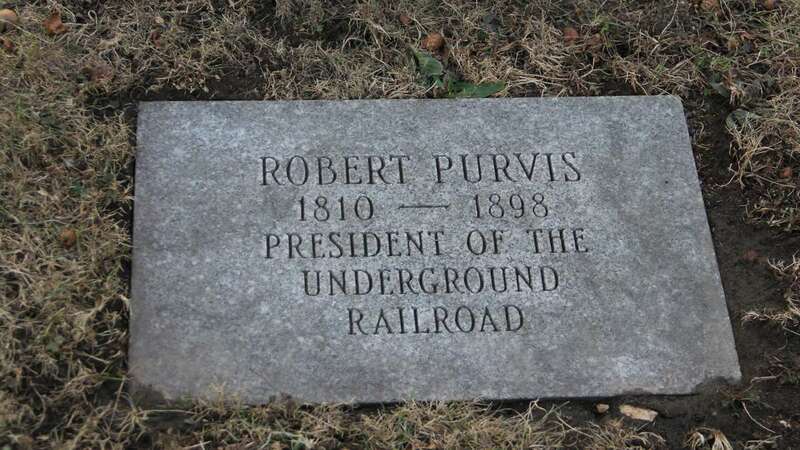 Abolitionist and women’s right advocate Lucretia Mott as well as Robert Purvis — often referred to as the unofficial president of the Underground Railroad — both are buried at Fair Hill.